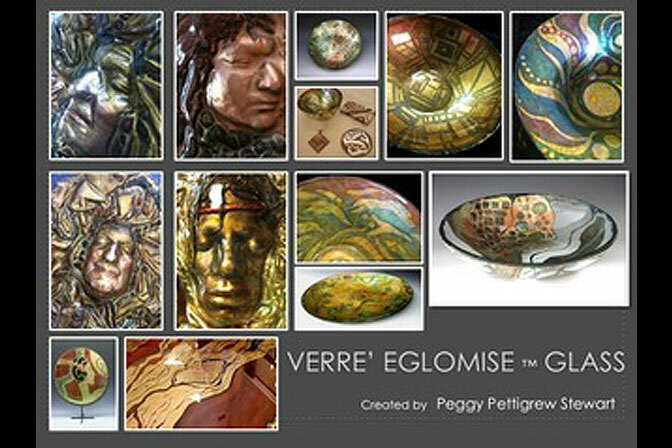 Peggy Pettigrew-Stewart’s award winning glass art has been featured in museums, exhibitions and galleries worldwide. Her fascination and unique journey in glass began 16 years ago, after battling cancer. 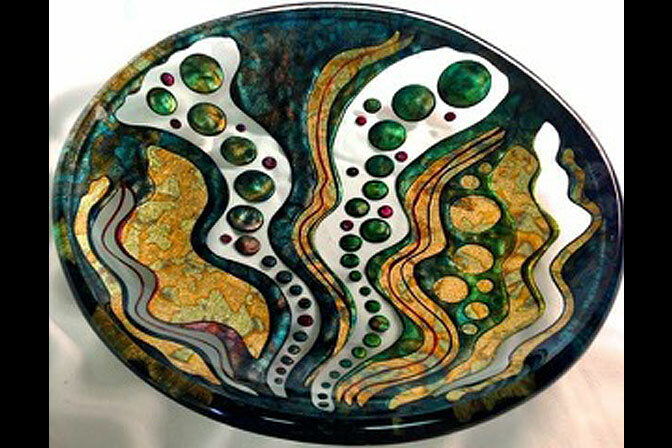 With a technical background she has been able to develop new techniques, processes with glass. With her technical knowledge she has helped manufacturers develop new materials,tools and equipment. She is one of the early pioneers working with Float glass. Considered a master at fusing, casting, kiln sculpting. She has studied extensively coldworking, sandblasting & sandcarving in addition to fusing. She combines multiple processes to create her unique glass art. 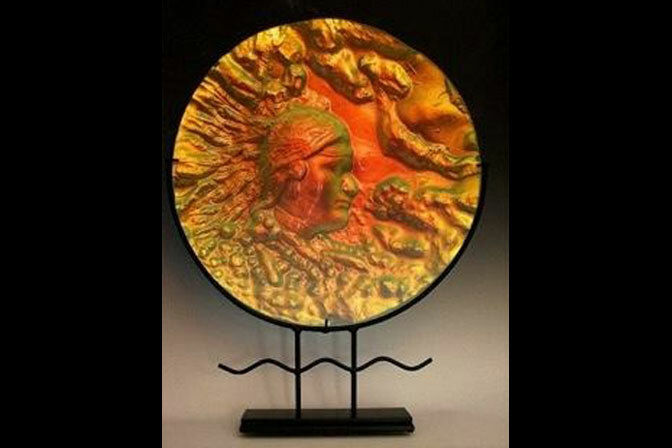 She is one of just a few U.S. instructors to teach the Verre églomisé glass technique. Ms. Stewart attended the famed Pilchuck International Glass School and Academe’ Taller in Spain. She has studied & worked with many masters of glass. She had the honor of working Team Chihuly during installation of the Dale Chihuly exhibit in Phoenix Arizona. Her work is held in museums and private collections worldwide. Her glass is bent to release prismatic color, and is evident in all of her glass works, ranging from human face-to-glass expressions to individually themed bowls formed by kiln forming, kiln casting, sculpting, sandblasting & carving, coloring and use of exotic metals. 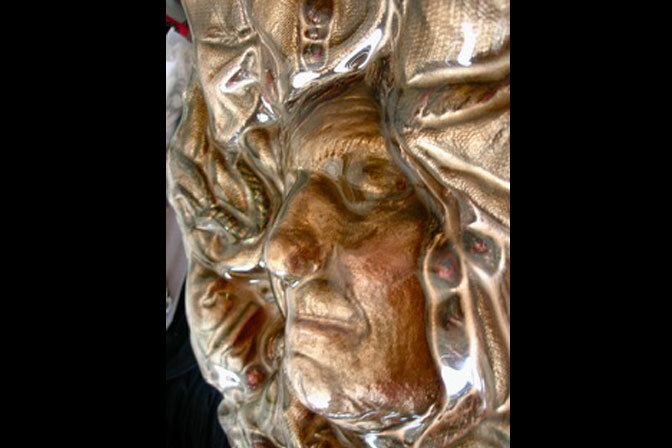 Ms. Stewart gives voice to the human spirit through her glass sculpturing of “Heroes of Woodstock” ™, a growing collection featuring the faces of great musicians from the Woodstock festival that defined a generation almost half a century past. She continues her decades-long fascination and experimentation with translucence and transparency, with color and light.